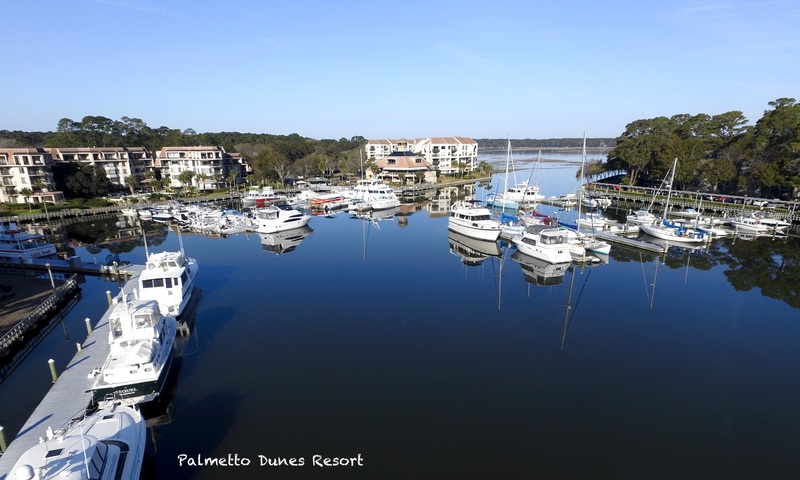 The oceanfront Palmetto Dunes Resort boasts 3 miles of Atlantic Ocean beachfront, 3 world-class golf courses, a wide range of self-catering accommodation, a full service marina, an award-winning tennis center, and an 11-mile lagoon. Guests may kayak or canoe the lagoon, sharing the pristine, natural environment with 40 species of birds and fish. 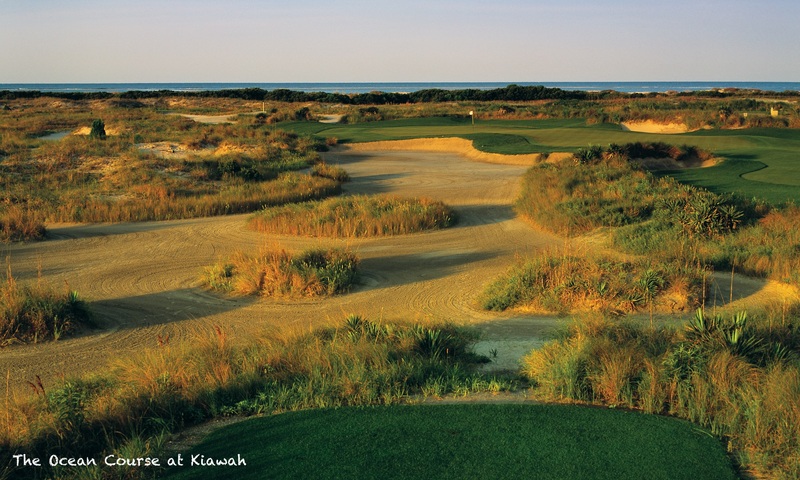 There are three 18 hole championship golf courses within the Palmetto Dunes Resort. The Robert Trent Jones, Arthur Hills (our favourite) and George Fazio Courses are among the best on the island. In addition, the Palmetto Dunes Golf Academy provides a variety of programs throughout the year to help golfers improve their game. Take your pick from schools and clinics designed for juniors or adults that focus on your needs. See our Hilton Head Golf page for more information. We offer a wide range of 1, 2, 3 and 4 bedroom villas at Palmetto Dunes. Locations include golf course, resort view, near ocean and ocean view so be sure to specify if you have a preference when requesting a quote. Villas are privately owned so furnishings vary but in our experience the standard is well maintained and units are well equipped. We also offer ocean front hotel accommodation at the OMNI. See the separate page on the OMNI Hilton Head Oceanfront Resort for more information. The Palmetto Dunes Buggy provides courtesy transportation within Palmetto Dunes and Shelter Cove Harbour. Visit the beach, golf courses, restaurants, shops and tennis courts as well as Shelter Cove Harbour, Shelter Cove Towne Centre and the Plaza at Shelter Cove. This is an on-demand seasonal service which operates from the beginning of April through to mid September. Vehicles will be dispatched on a first-come, first-served basis, based on requests received. Shelter Cove Marina is one of the premier nightspots on Hilton Head Island with a variety of restaurants and bars overlooking the harbour. During the day you can browse the boutiques or embark upon a fishing or sightseeing trip from one of the many vendors dotted around the harbour. A wide array of boating activities operate out of the marina, including dolphin watching excursions, paddle boarding, sport crabbing and fishing. You can enjoy a dinner cruise or take a boat tour to nearby Daufuskie Island. Alternatively, tour Hilton Head’s marshlands on a two man compact catamaran. Situated opposite Palmetto Dunes Resort, Shelter Cove is the perfect nightspot for resort guests. There are a number of restaurants situated along the water front including Bistro 17, a French Café, Bucci’s Italian Cuisine, ELA’s Blu Water Grille, Mediterranean Harbour Bar & Grill, Scott’s Fish Market and San Miguel’s Mexican Cafe. There is also a small collection of boutiques, gift shops and galleries to explore during the day at Shelter Cove Marina. Find out more about Shelter Cove by visiting this site. Alexander’s Restaurant & Wine Bar has been a popular choice of the Hilton Head Island dining scene since 1977. In Spring 2017 it re-opened as an upscale seafood restaurant. Alexander’s is located close to the main entrance to Palmetto Dunes. The Dunes House at Palmetto Dunes offers the perfect place for resort guests and property owners to experience the best of the beach. Adjust your attitude at this laid-back island restaurant and enjoy the sand, surf, sun and spectacular views of the Atlantic Ocean. Big Jim’s BBQ, Burgers & Pizza Restaurant is located at the Robert Trent Jones Golf Course. Big Jim’s offers a relaxed dining option for families, golfers and Hilton Head Island residents and visitors alike. Enjoy big screen TVs and expanded outdoor seating overlooking the Jones course. Arthur’s Grill is located in the Arthur Hills Clubhouse on Palmetto Dunes Oceanfront Resort’s signature golf course. Arthur’s presents a choice of breakfast or lunch served indoors or on the patio overlooking the course’s expansive practice range. Select from a full menu of soups, salads, sandwiches, burgers and daily specials. Full bar service also is available. Just across the street you will find many dining options at Shelter Cove Marina, whilst there are many other restaurants within a short drive or taxi ride. At the centre of the 3 mile stretch of beach front you will find the Dunes House, a public access beach facility. This features a deck, restrooms and limited parking for resort guests. The Dunes Buggy stops at the Dunes House. Open for lunch and dinner, the Dunes House features an outdoor kitchen offering fresh grilled hamburgers, chicken sandwiches, wraps, fish tacos, and more. A wide range of beverages are also available, from beer and wine to sodas and signature frozen drinks. During peak season the Dunes House offers live entertainment on Monday and Friday nights. Beginning the first Wednesday after Memorial Day and continuing until the end of August is Lobster Night, featuring whole live lobsters. Get there early as the lobsters tend to go quickly and there is a limited availability. Hilton Head Outfitters has everything you need for a day at the beach! They have a large selection of sport and beach rental gear for activities like fishing, kayaking, and surfing. Also, beach chairs and umbrellas, stand-up paddle boards and surf boards can be rented there. Palmetto Dunes Resort offers award-winning tennis year-round on Hilton Head Island. At the heart of the Palmetto Dunes Tennis & Pickleball Center you’ll find 26 (six courts are lighted for night play) clay tennis courts, 5 of which are junior/POP Tennis specific and 8 pickleball courts. With a full schedule of seasonal activities, daily round robin tournaments and a wide array of instructional programs, the Palmetto Dunes Tennis & Pickleball Center has a tennis program to fit everyone. Follow the links below to view our featured resorts or return to the Hilton Head accommodation page.